The Genealogy Trails History Group is celebrating its 5th year of existence! How had it escaped my notice?!?!? “Our goal is to help you track your ancestors through time by transcribing genealogical and historical data for the free use of all researchers. We started out way back in March 2000 by providing data for the state of Illinois and expanded to cover the other states in March of 2006. Since then, we've been very pleased to welcome the many new hosts who have joined our original Illinois volunteers, to continue to bring free transcribed data for our websites. All counties within all the states are now online with websites of their own, and we will be working hard to start filling those sites with newly transcribed data. With all the changes going on in the genealogical world, we feel it's important to state that Genealogy Trails is an independent group of volunteers. We are not affiliated with any for-profit company, nor do we have any intention of ever affiliating with one (yes, we've been asked). Our volunteers made the decision at our group's beginnings to fund and support our group's needs themselves and that's what we have every intention of continuing to do. Be assured that the data you contribute to our websites will remain free on our sites for all researchers' use, now and in the future. Do check out this bit of a hidden gem. 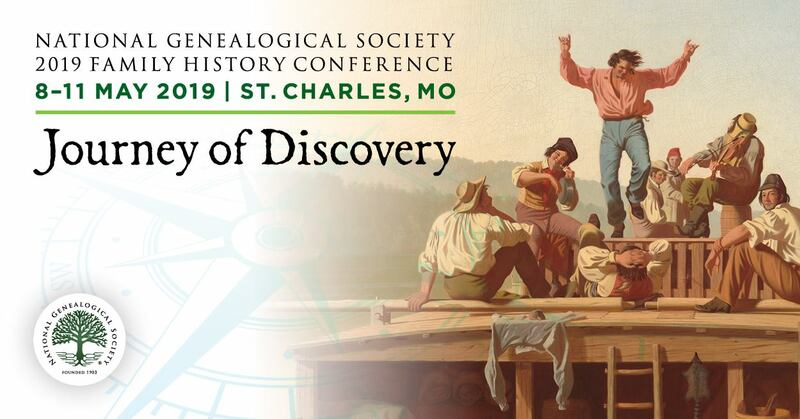 You might learn something new about your ancestors or decide this is where you would like to contribute some of the data that you have collected that it might aid other genealogists. Day of Digital Archives, October 6th! Oklahoma tourism recognizes genealogical tourism! Google News Archive - Gone for Good? Send your orphan heirlooms home!